Mike Esposito | The Fantastic Flame On! 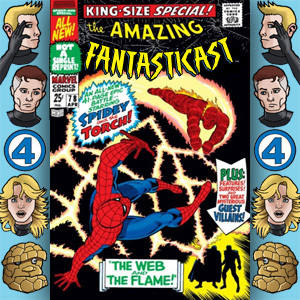 The Fantasticast Episode 153: Marvel Team-Up #6 – As Those Who Will Not See! We’re dipping our toes back into the world of Marvel Team-Up, with issue #5. The Thing is the guest-star for this issue, stepping forward in his own right for the first time. Can you tell that Marvel Two-In-One is on the horizon? This titanic team-up also features two (count ’em, two!) villains, the nefarious Mad Thinker and the strangely sympathetic Puppet Master. After a decade of radioactive clay, the time has come to discover his secret origin. Joining us for this team-up is Fantasticast artist Mike Georgiou. Creator of Steve and Bob, and Elemental Micah, Mike is the owner of a proud beard and a fluffy tablecloth. He’s also the creator of our wonderful show artwork, and we’re very pleased to welcome him back to the show. Check out his work at mikedraws.co.uk or follow @mikedraws on twitter. 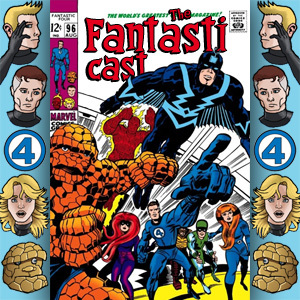 It’s a bumper episode for the Fantasticast, as we cover two comics, one wedding, and a whole slew of responses to our latest listener question. Steve and Andy are spending this week looking at Crystal’s return to the rebuilt Attilan in Fantastic Four #82, as well as attending the completely legitimate wedding of Janet van Dyne and Yellowjacket in Avengers #60. It’s a Jack Kirby and John Buscema feast for the eyes. Annual season continues and concludes here at the Fantasticast. 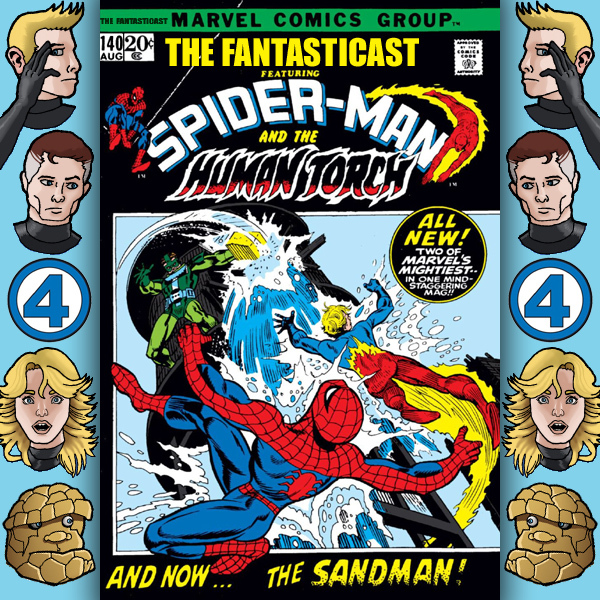 Steve and Andy get to grips with Amazing Spider-Man Annual #4, featuring the latest team-up between the Human Torch and Spider-Man. Memories of Strange Tales Annual #2 are lingering, and with irrelevant villains, forced conflict, and leaps in storytelling logic so vast even Evel Knievel would think twice before leaping across them, there’s good reason for these to linger. For, hidden underneath the surprisingly good artwork of Larry Lieber, is a Strange Tales story in all but name.